The December Lootcrate is only going to be available for purchase for the next 12 hours. 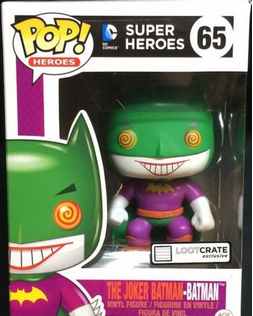 Depending on if you are located in Canada or the US the lootcrate could cost you $30 or $20. However, the funko pop is already selling for $30+ and the book is already selling for $20. I just wanted to say I love your site helps me make some money and I just wanted to tell you about Weird War Tales #93 Nov 1980 1st Creature Commandos but more importantly it has the 1st appearance of LT. Matthew Shrieve who will be appearing on Arrow CW TV show season 3 ep. 14 played by Marc Singer. Books sold for over 60$ already on ebay more than 6 sold..